Here in DC, creative individuals appear to have revised Chevron ads in at least one Metro station to reflect a more, er, politically overt sentiment. 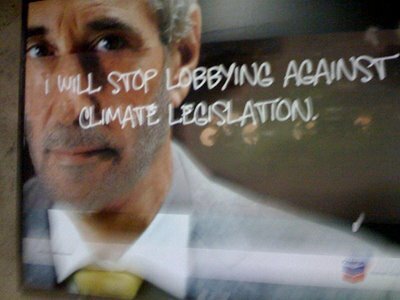 The poster hack changes the promise "I will use less energy" in this ad (pdf) to "I will stop lobbying against climate legislation." 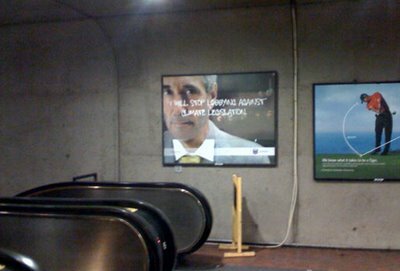 Labels: ad takeovers, public advertising, public art, subway, Washington D.C.